Running a sophisticated company on the leading edge of technology takes a lot of talent, smarts and guts. Tradebot shares what it takes to keep up with trends and to innovate on the best current practices. In this unique opportunity to learn the best from one of the best, Tradebot will discuss how to optimize performance and minimize latency on today's high efficiency platforms, and how traditional statistical machine learning methods like Logistic Regression can compete with AI neural nets. For many years, general advancements in hardware technologies directly benefited low latency computing. However, in the last ten years the industry's shift to cloud, big data, and mobile computing has meant that companies are no longer as concerned about pure performance and instead have shifted their emphasis to power and thermal efficiency. In this presentation, Jeffrey Watts, Senior Systems Administrator at Tradebot, will discuss how companies like Tradebot continue to innovate and reduce latency in a changing industry. Despite the excitement around advances in convolutional and recurrent neural nets, other statistical learning techniques like Logistic Regression remain powerful and robust tools for classification. In this presentation, Peter Lesslie, Software Developer at Tradebot, will discuss when and how to use Logistic Regression. 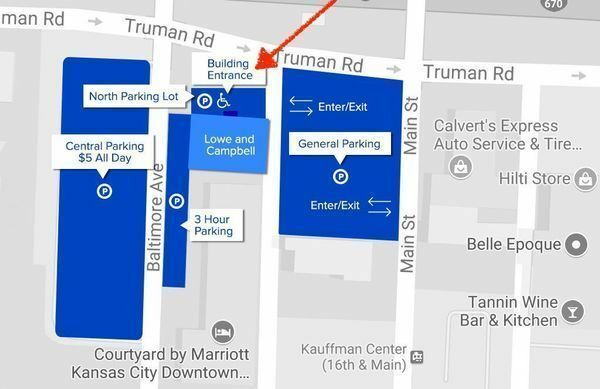 Doors open at 5:30 PM, talks start at 6 PM. 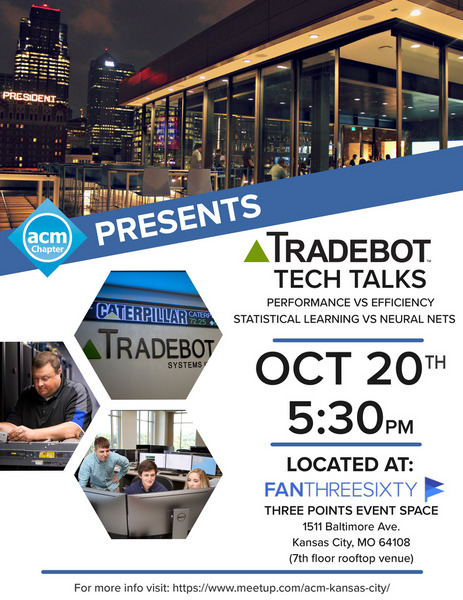 0 Response to "October 20: ACM Kansas City - Tradebot Talks Performance vs Efficiency, Statistical Learning vs AI Neural Nets"